You will find totepool betting points throughout Aintree racecourse. When betting on the Grand National at the track, look for the Tote sign but there will be plenty of these dotted around. What is a Tote Bet? With the tote, you’re not betting against a bookie or another person like on the betting exchanges; but your stake goes into a pool. The concept is just like the national lottery. Your win will, therefore, depend on how many other winning tickets there are – the more winning tickets there are, then the more the pool for that has to be split out, meaning a lower return (returns are worked out at a £1 stake). But if the winner of a race doesn’t have many tickets attached to it then the return here will be higher. Again, it’s a bit like if the lottery pool was won by 10 people or just 1! Once at the Tote window, you can either fill out their form with your stake, the type of bet (win, place or each-way) and your horse number. The minimum bet here is £2, or if you prefer you can just shout out the number of your horse to the person behind the counter with the stake, bet type and race time. For example, “Race One, Horse Number 3, £5 to win – Please”. Betting Tip – You can never take a price with the tote – so it’s always a bit of a lottery what the return will be. The more people on the winner (favourite), the lower the return. But if you do fancy a horse that is more of an outsider then generally because of that reason you can often get much bigger returns from the tote on these horses. You can place other bets on the tote, like forecasts, tricasts, placepots, jackpots and quadpots. Tote Betting is all about a collective pool of people coming together to have some fun. 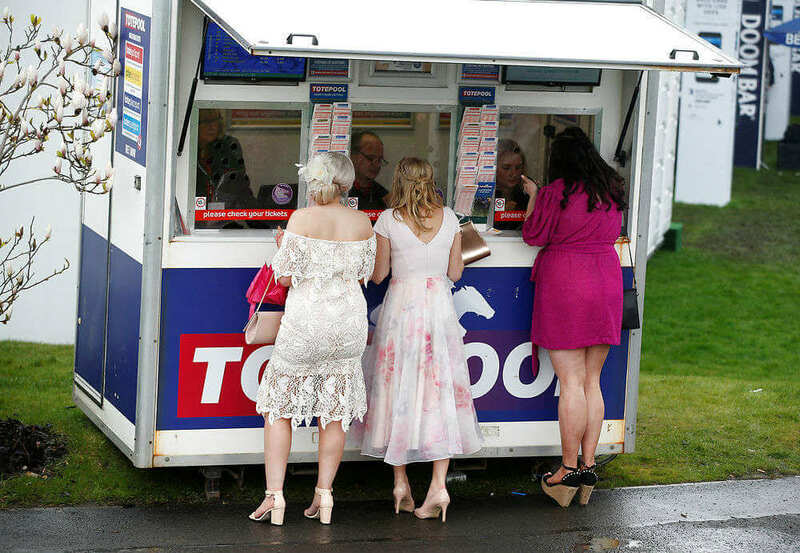 In the UK, tote betting is integral to a day at the races. For other types of betting on the Grand National, visit our Betting Guides.